Pars Online Group Review 2019: Is Pars Online Group a Good Hosting? Pars Online Group specializes in providing cloud services to the Iranian market. Strong security and customization options are nice, but a complete lack of value-added services limits functionality. Pars Online Group is an Iranian internet services provider based out of Tehran, Iran. While their core offerings are their internet services, they also provide a number of IT solutions such as web hosting, selling space on shared cloud servers, private cloud servers, cloud VPS, and dedicated servers. Since 1999, they’ve provided over 1,000 organizations and one million individual customers with IT services in both the public and private sectors throughout Iran. Pars Online Group’s services are restricted to data services only. None of the value-added services offered by other providers are available. For example, if you are looking for dedicated email services, need help building your website, or want to transfer it over to a CMS like WordPress or Joomla, you will need to look elsewhere. However, Pars does offer dedicated bandwidth services at speeds of up to 45Mbps. You can also get a dedicated firewall, a weekly backup, and 99% network uptime availability. Five different web hosting plans offer varying levels of functionality. An entry-level cloud VPS plan specifically designed for startups is one of the brand’s unique features and offers a single processing core, 50GB of disk space, and 250GB of user traffic per month. The Bronze plan offers two processing cores, 100GB of disk space, and 500GB of user traffic per month. Large organizations can increase functionality up to eight processing cores, 400GB of disk space, and 500GB of monthly user traffic. As you can tell, even their most basic plan is far more than most beginner webmasters would require. This makes Pars Online Group a decent provider for those requiring cloud hosting in Iran, but a less than ideal choice in most other aspects. Another unique feature is a proprietary, internal management panel to control your account. Use it to monitor bandwidth usage and downgrade to a cheaper plan if you use less capacity than anticipated. 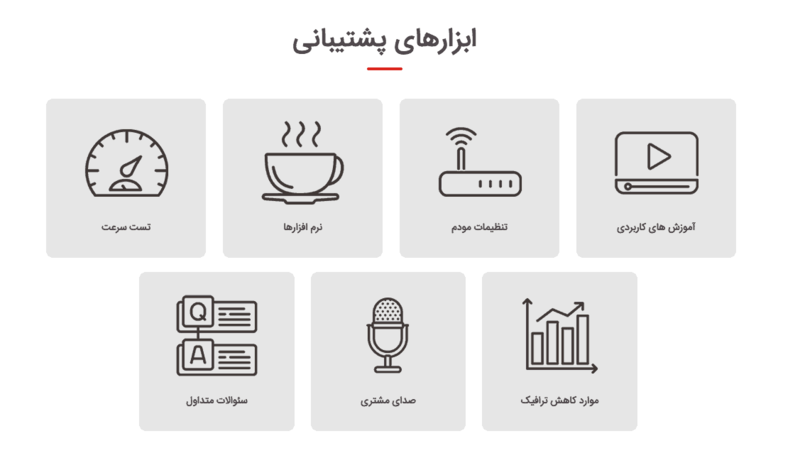 Pars Online Group’s pricing reflects their status as Iran’s largest provider of cloud services: it’s clear that they’re geared towards larger companies. Capabilities in their entry-level “startup” package are beyond what most startups need, and cost far more than other providers’ entry-level packages. From an absolute standpoint, the highest-tier pricing option is cheap in comparison to the competition. But despite a 4x increase in price, it only offers 4x more capacity (eight processing cores, 400GB disk space) than the lowest-tier plan. This price/capacity ratio is lower than the industry norm, meaning you pay relatively more for the capacity of the high-tier option than is considered standard. Support options are also below industry standard. No self-service options exist, so you’re forced to contact a representative for any technical assistance. There’s a phone number to call, but it’s not a dedicated support line. Also, in my experience, using their on-site forms and email options can take a day or two to get a response. Pars Online Group offers adequate web hosting services. However, a lack of value in the pricing options and value-added services are disappointing. If you plan to operate out of Iran, it’s a good option; international customers can do better elsewhere. Wondering how Pars Online Group stacks up against other Web Hosting companies? Enter any other Web Hosting company and we will give you a side-by-side comparison.